Now a days Internet had become a very huge source for working and surfing . Beside using internet for getting some online working or enjoying it . A big problem arise when someone has a slow internet speed and I my self experienced this a lot . So I know very well how it become a problem in work . I searched a lot for such methods and trick through which I can get the internet fast . And today I have all those tricks and methods which help me in increasing internet speed a lot. So today I am covering queries like 'How to increase internet speed'. I am sharing three (3) tricks of all which I have learned so far. I don't want to make the article too boring so will just share three of them. 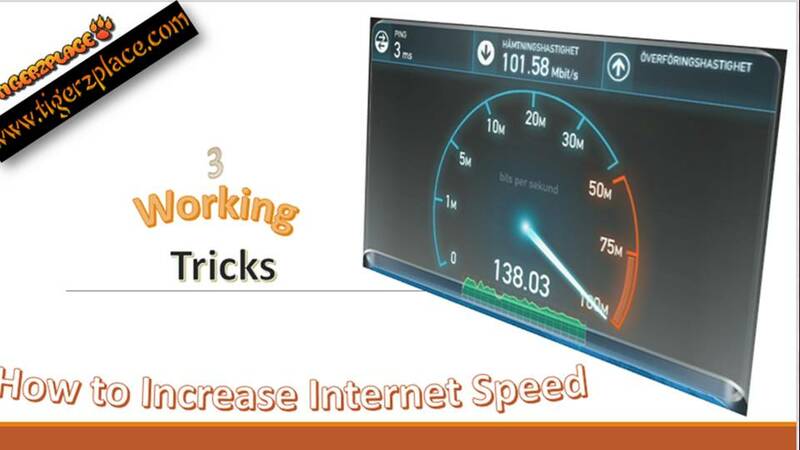 Don't worry its working 3 tricks for increasing internet speed. 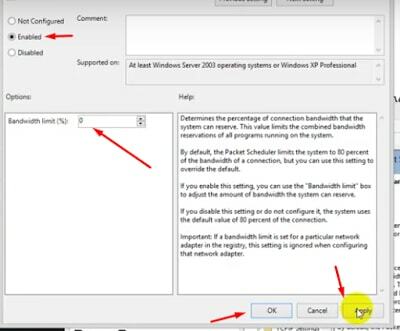 This method for increasing internet speed works for all version of windows. Windows 10/8.1/8/7 All. Before starting let me tell you that I already uploaded video tutorial for this method (How to Increase Internet Speed), If you don't get the steps clearly then make sure you watch the video which covers each and every step of this method. 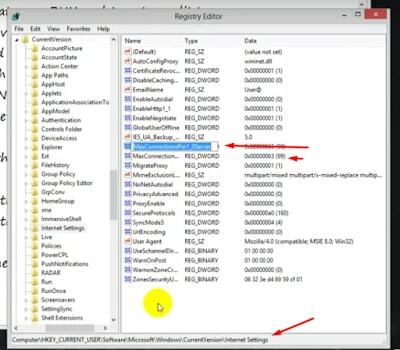 ok after downloading the file.Extract it and run the files . It will make some reg key changes . 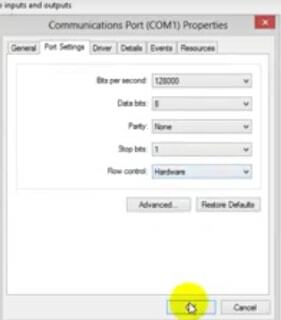 After this part all other methods need no software we have to do it manually, by increasing port rate and making a dword value in internet settings for max connections per server. 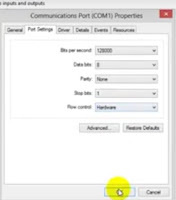 2 ) Now for increasing ports go to device manager and there tab to ports and go to its properties of the port present there. so we need to increase bits per second to max value and flow control must set on hardware. And Click ok and you are done with this step. 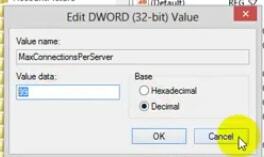 3 ) Now we have to make dword value for max connections per server, for that open RUN and type ‘ regedit ‘and click ok. NOTE: if you already have then don't create , just set the values . Now right click on the dword value one by one & set its value 99 using decimal. In Run type ‘ gpedit.msc ‘. You can get RUN window by pressing WIN+R on your keyboard. Once the windows pop up, you need to deal with the left panel which includes a lists of different options. 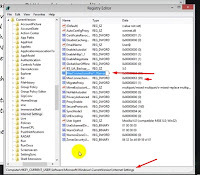 In that you have to select ‘ Admistrative Templates ‘ and tab to Network. 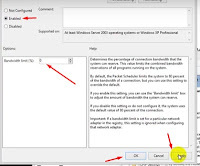 In Network Select ‘ QoS Packet Schedular ‘ Now there on the right side click on ‘limit reservable bandwidth‘ , Go to its properties and enable it & change its value to 0 and click ok.
That's all you need to do in order to increase internet speed. If it doesn't effects the speed at once, make sure you restart your PC/Laptop. All settings will take it places with best effects (internet will be much faster). Hope this method will work fine for you. Leave your comment if you need to ask something.